Taking time to reflect, recharge and refocus isn’t just good for your soul. It’s good for your business too. The holiday season is a great time to do it. Start with a few philosophical questions: Why am I doing this? Am I still happy doing this? Where do I see myself in two, five, 10 years’ time? If you dig deep enough, your answers will lead you to your future path. Maybe you’ll choose to grow your business. Maybe you’ll think about buying a new business or maybe it’s time to sell. With each of these options, the first step is to look at where you are now, what value your business currently has and how to you can increase that value. This is how you can grow your business and how you can get the best price for your business. No one can say small business owners aren’t hard workers. But working hard and working effectively are not the same. Making sure you are putting your efforts in the right places will ensure not only that your business makes a profit, but that it continues making a profit and increases in value. Reflection is important so we can learn. Did the activities you undertook over the past year positively influence your ongoing revenue AND your potential sale price? If not, then consider whether they were worth focusing on at all. Be your own critic – What else could you have done? What should you not have done and what could you have done better? Taking time out, whether it’s a month-long holiday or a walk round the block, is how we recharge our batteries. Taking that time out gives us space from the day to day, and it’s from that space that our energy grows. Never underestimate the value to your business of your own enthusiasm, passion and vigour. Once you’ve reflected and recharged, you will be ready to refocus. This is the time to dust off your business plan and look at it with fresh eyes. 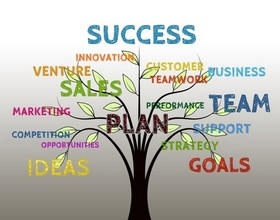 Business plans should always change and evolve. What’s right for you and your business in January may not be right a year or even six months later. And don’t forget to think about where you fit into the plan. Are you happy to keep doing what you’re doing? What about next year, or in five years? If you’ve got a moment to breathe – take that moment to reflect, recharge and refocus. Focus your energies on increasing the value of your business. This will put you in a great position no matter where your future path leads – whether it’s to grow your business, sell or buy a business.